WJ & Co. - Blog | WJ & Co.
We will be hosting a Made-to-Measure trunk show with Tom Riley of P. Johnson from Thursday the 28th of June to Sunday the 1st of July. Their lightweight construction and soft tailoring is the perfect remedy for combating the heat and humidity of our climate. Along with a small selection of ready-to-wear, a wide range of fabric options for suits, sports coats, trousers, shirts and polos will be available for you to create tailored clothing that is a true extension of your personal style. We are pleased to announce that we will be hosting a By Request event with renowned shoemaker John Lobb from the 14th to the 20th of April. The By Request service offers you the freedom to create your own unique pair of John Lobb handmade shoes or boots, specific to your personal style. Nicholas Holt, John Lobb's new regional director, will be on hand over the weekend to meet clients and discuss all things John Lobb. Appointments are encouraged to ensure sufficient time for you to consult with our team. Orders placed during this By Request event will not incur any By Request fees. All John Lobb Goodyear-welted boots and shoes are created in their purpose-built workshop in Northampton, England. Made by their highly-skilled and renowned craftspeople, each pair requires over 190 steps to complete to ensure the highest standards are met. A variety of oxfords, derbies, monkstraps, loafers and boots in both classic and contemporary styles will be available to order during the By Request event. A wide range of leathers and colours will be available – from John Lobb’s signature Museum Calf to beautiful textured suede leathers. Do you have narrow or wide feet? Ensure the best fit for your feet with fitting assistance from our team. Do you prefer a traditional leather sole or a more functional weather-resistant rubber sole? With a range of options for both, you will be able to select one that best suits your lifestyle. Put the finishing touches on your personalised pair of John Lobb’s through their monogramming service. To explore John Lobb's By Request service, book an appointment with us here or visit us in-store. Please note that the By Request Fair does not encompass bespoke as it is a customised, made-to-order process. Bright and sunny in KL! Suit and shirt by P. Johnson MTM. New Arrival! Carmina Penny Loafer In Brown Rusticalf. New Arrival! Carmina Cap-Toe Double Monk in Black Calf. Catching up with Patrick, Gianni and the P. Johnson team. 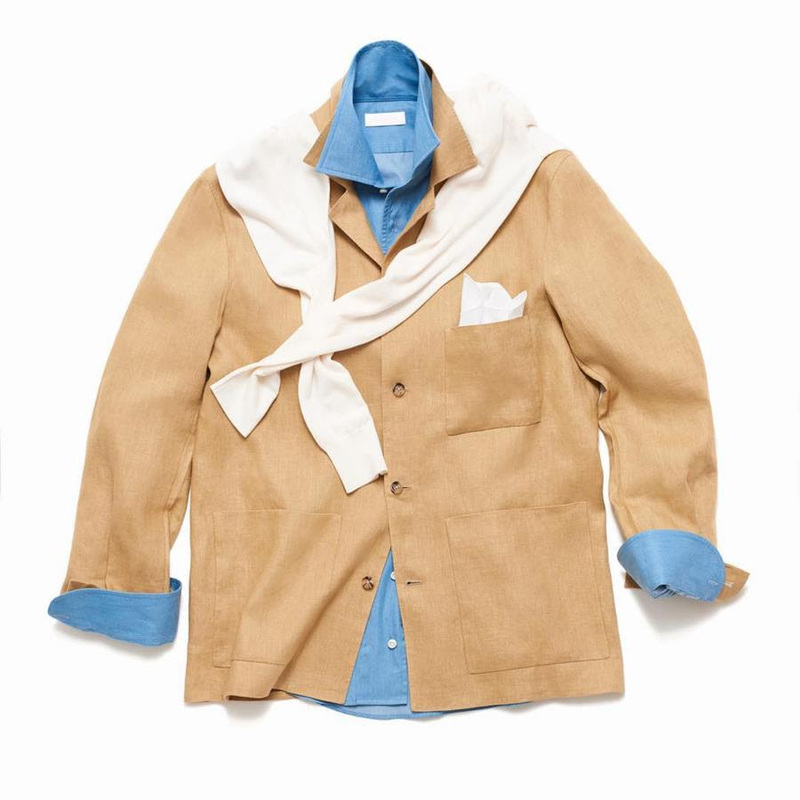 Cotton, linen and bronze snappers. Mustering a smile in 40 degree heat. Must be the new shoes. This suit is available for purchase here.